The Private Pilot's Licence (PPL) is a European (EASA) issued internationally recognised (ICAO) licence which permits the holder to fly for leisure within Europe and also in many others countries around the world which recognise ICAO licences, no remuneration is permitted. The course consists of a minimum of 45 hours airborne instruction. It is possible to complete the licence within the 45hr minimum although students often exceed 45hrs. 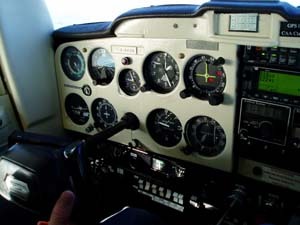 The student must complete a minimum of 10 hours solo flying as part of the course to include circuit work, navigation and the Cross Country Qualifier. This takes place near the end of the course before the final flight test. The Cross Country Qualifier consists of a flight of minimum length 150nm landing at two airfields along the route. The PPL course also requires the student to study theory modules and pass associated examinations. These are in the fields of Air Law, Human Performance, Meteorology, Communications, Principles of Flight, Operational Procedures, Flight Performance and Planning, Aircraft General Knowledge and Navigation. 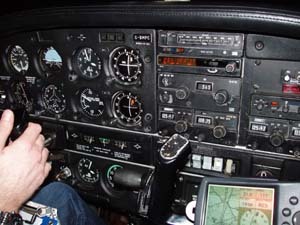 The student must pass an EASA Class 2 medical before being allowed to fly solo. The Light Aircraft Pilot's Licence (LAPL) is a European (EASA) issued licence which effectively replaced the UK National Private Pilot Licence. The LAPL is not an internationally recognised licence (non-ICAO) which permits the holder to fly for leisure within Europe only, restricted to single engine piston aeroplanes and touring motor gliders below 2,000kg and maximum of 3 passengers, no remuneration is permitted. The course consists of a minimum of 30 hours airborne instruction, however it is likely that in practice a student will require a similar number of hours as required for the PPL (45hr). 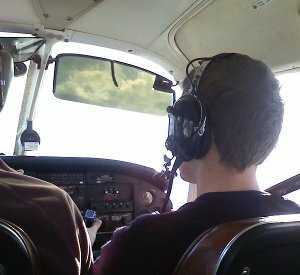 As with the PPL, the student must complete a solo Cross Country Qualifier which consists of a reduced navigation route of minimum length 80nm landing at one other airfield along the route. The licence offers only very limited scope for adding further aircraft types and ratings, unless the pilot 'upgrades' to a full PPL. The LAPL has reduced medical requirements compared to the PPL, this would be the main reason for selecting the LAPL over the PPL. Theory modules and examinations are the same as for the PPL. The Night Rating allows the holder to exercise the privileges of the PPL or LAPL in visual (VFR) conditions at night. 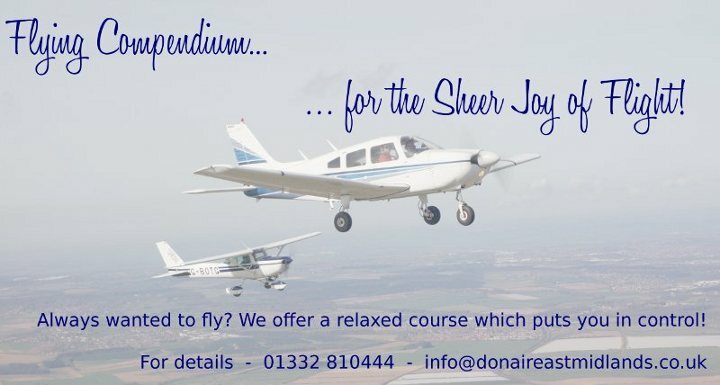 The training course comprises theoretical knowledge instruction, at least 5 hours of flight time at night including dual instruction, circuit flying and cross country navigation. There are no flight tests or theory papers. However, the student must be able to demonstrate an acceptable level of proficiency. 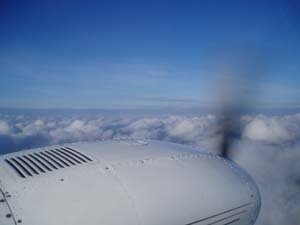 The IMC (Instrument Meteorological Conditions) Rating is intended to provide the PPL holder with instrument flight training enabling the pilot to fly through and above cloud in Instrument Meteorological Conditions. The course requires a minimum of 15 hours flight instruction with associated ground theory training. There is a flight test and a theory exam. 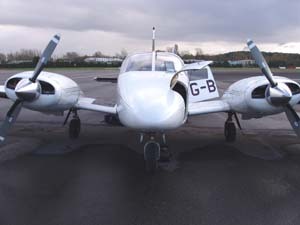 The IMC Rating can only be endorsed onto a UK aeroplane licence. If the licence holder completes IMC training and examinations for endorsement on an EASA (European) licence, then the rating will be endorsed as an Instrument Rating Restricted - IR (Restricted). The privileges and revalidation / renewal requirements for IR(R) and IMC are the same. The privileges of the IMC Rating or IR(R) may be exercised within the UK only. 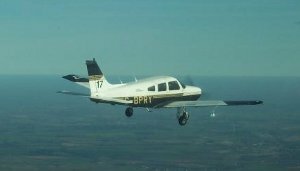 The Multi Engine Rating allows the pilot to fly multi engine aircraft. 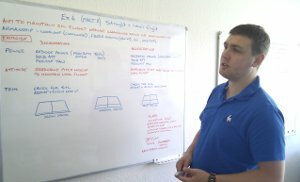 The course covers the more complex aspects of multi engine flying, focusing especially on the engine failure scenario. Minimum flight instruction time is six hours with a theory exam and flight test. At least a valid PPL, medical certificate and a valid SEP rating. Have completed at least 200hrs of flight time, of which 100hrs shall be PIC if holding a CPL/ATPL, or at least 150hrs shall be PIC if holding a PPL. Have met the knowledge requirements for a CPL. Have 30hrs of SEP experience of which 5 are in the 6 months prior to completing the FI pre-entry flight test. 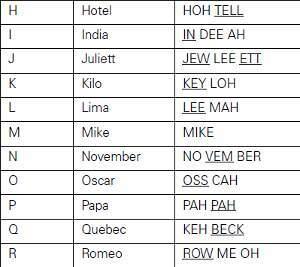 Have received 10hrs of instrument flight instruction of which not more than 5hrs in a STD or FNPT. Have completed 20hrs cross country flight time including a 300nm flight which lands at two aerodromes other than the point of departure. Have completed a pre-entry flight test with an FIC Instructor within the 6 months prior to course commencement. For those students requiring a little extra help with the Radio Telephony element of the PPL course, we are able to recommend an evening course leading to the written and practical CAA Radio Telephony examinations. Peter Stephens, an East Midlands ATCO runs the course periodically at Burleigh Community College in Loughborough. The course runs on a Wednesday evening from 1900 - 2100.